Having recently met Boxed CEO and co-founder Chieh Huang at an American Express event, I was surprised by the wealth of practical and incredibly useful knowledge he had acquired while growing his company. We briefly discussed that journey from startup to acquisition, as well as some of the mindsets and approaches he has adopted along the way that are just as useful for small business owners as they are for enterprise CEO's. In this artic, e he shares some of his most useful tips on how a business can go from garage startup to acquisition. 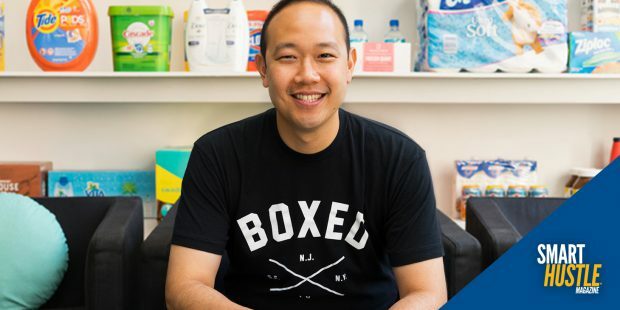 Chieh Huang is the CEO and co-founder of Boxed, an online warehouse club that delivers items in bulk straight to your door (for both residences and businesses). While this business concept is similar to other delivery services gaining momentum in years past, Boxed’s journey has been anything but normal. We, as humans, all have this urge to fight or flight. As business owners, however, we have to fight that desire to run away, no matter how bad it gets. As he explained, “Everything you have ever wanted in life that’s valuable is on the other side of fear and instinct.” So, if you are able to stick with it and fight for your business, that is the first important step you can take in establishing a successful business. When your company is brand new, it is often a struggle finding the right talent to fill your ranks. According to Huang, though, it is about finding people who are just as hungry as you are. If you are in a space that no one else has really conquered yet, the experience is something you can attain together. When it comes to marketing, we are living in a great time right now. You no longer need lofty budgets to try and get the word out. Huang says all you need is some savvy and a willingness to play around with SEO, SEM, and social media to build your business’s reputation and following. You know those Dos Equis memes? Someone should put Huang’s face on them and swap it out to say, “Stay hungry, my friend.” And, let’s face it, he is right. If you lose your drive, your spirit, or your hunger to be better and to do better, you are going to have a hard time getting out of bed every morning. Fight the frustration of starting or running your business with that hunger.